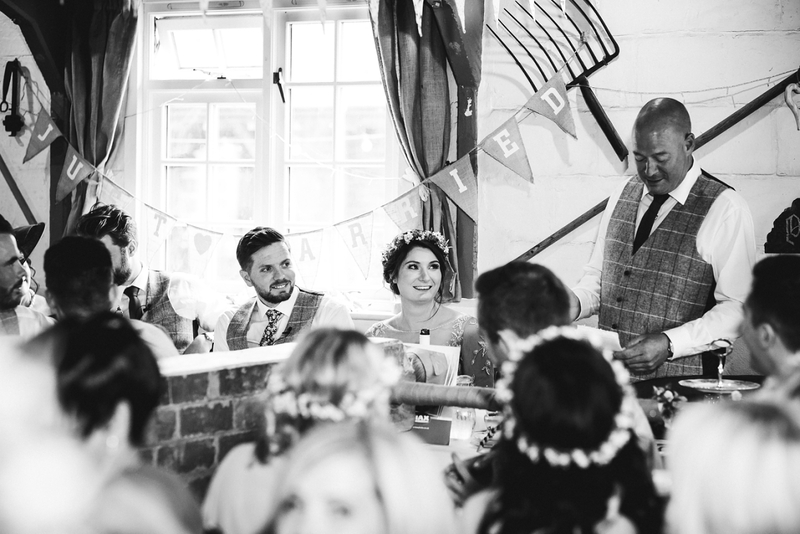 As I pulled up to Park Farmhouse, a beautiful rustic barn wedding venue, it was a gloriously sunny day for Tanya & Nathan’s wedding – seems like a long time ago now with the weather getting definitely colder! 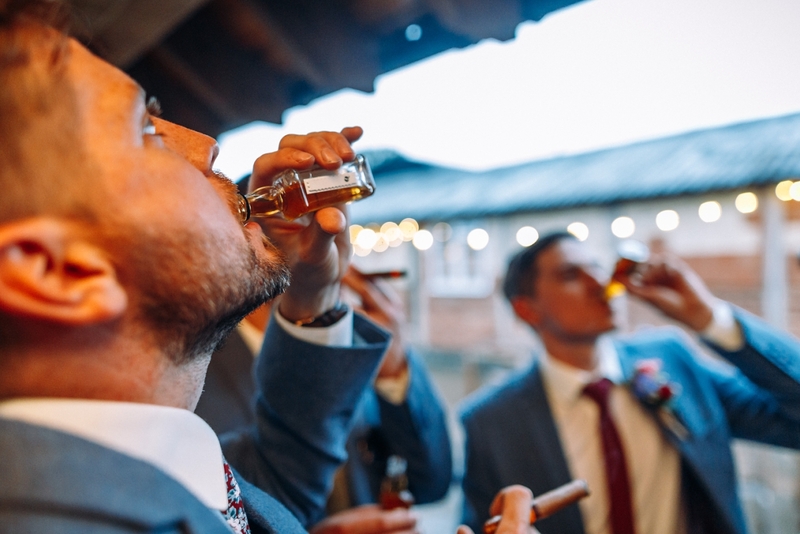 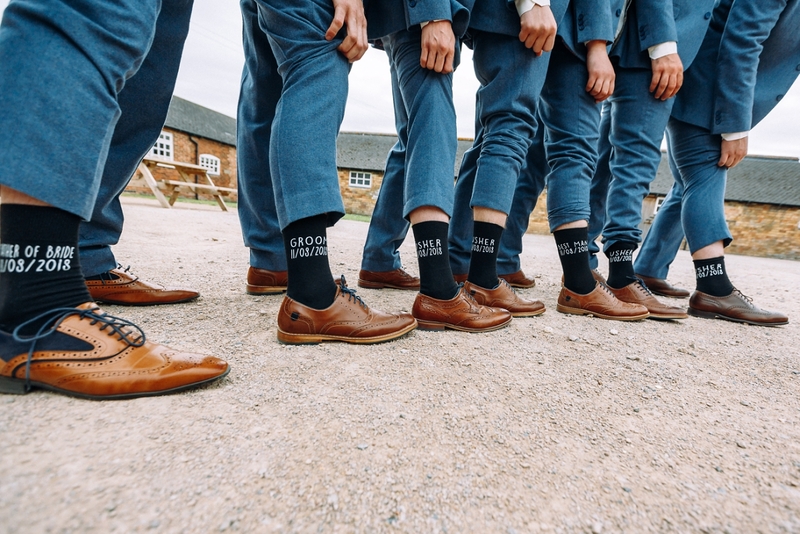 Both the groomsmen and the bridal party were getting ready at the venue, which meant I was able to capture some really great moments during the preparations for both of them. 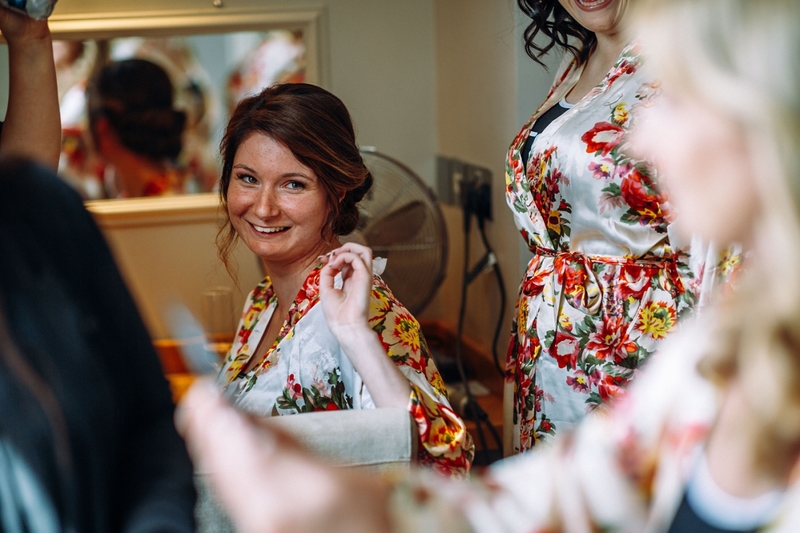 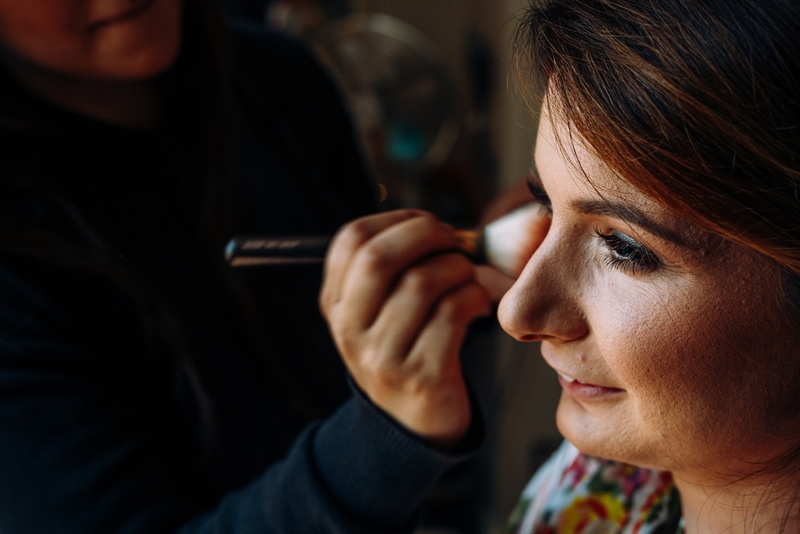 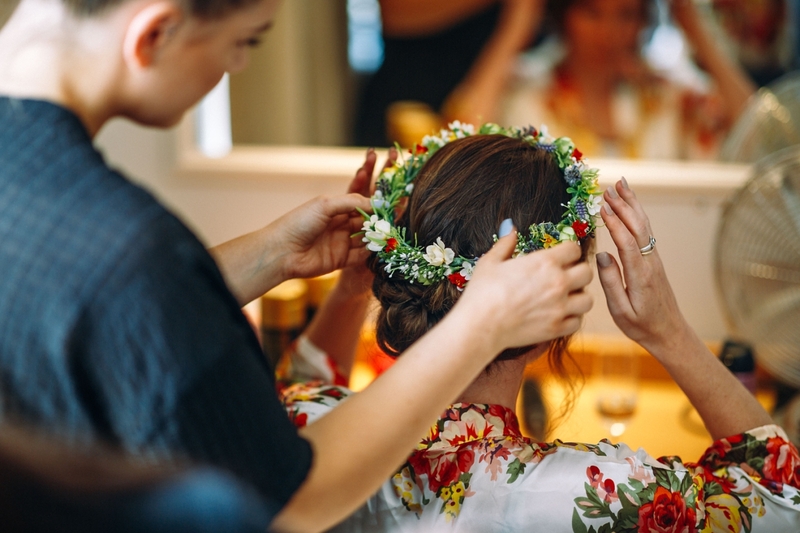 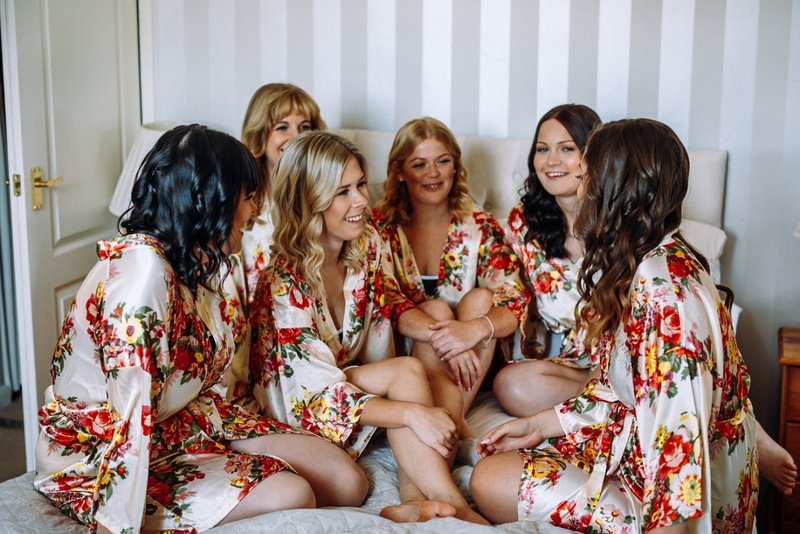 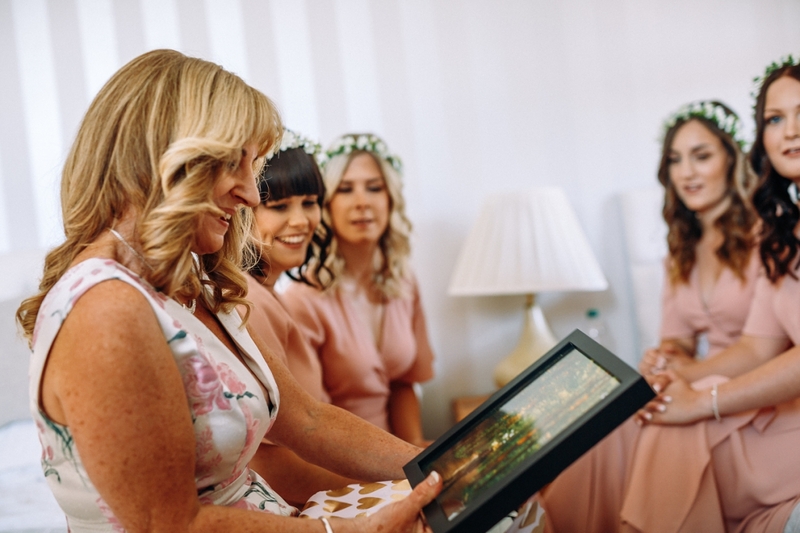 Tanya’s bridesmaids and mum looked amazing in their co-ordinating floral dressing gowns while hair and makeup was being done, I just love the shots of them receiving their gifts from Tanya, all laughing and smiling…with a few tears too! 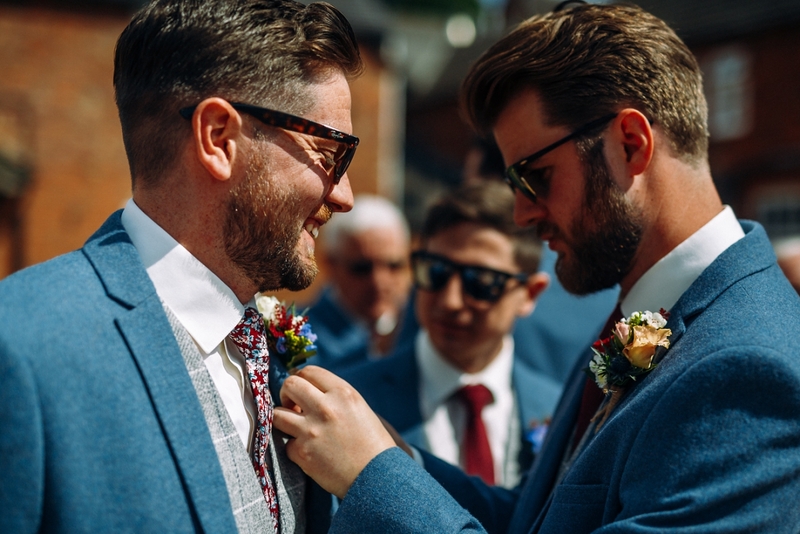 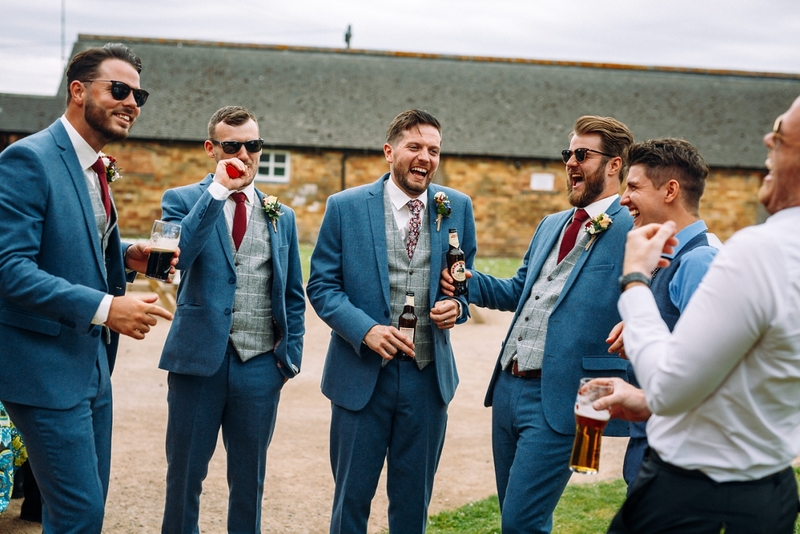 Nathan and his groomsmen looked very dapper in their suits, and with the addition of their buttonholes were ready to head out into the sunshine for some shots before welcoming the guests into the barn ready for the ceremony. 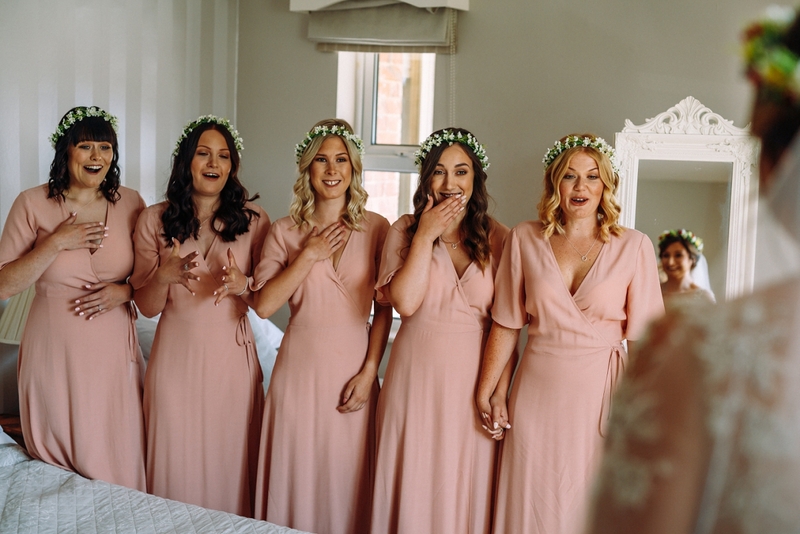 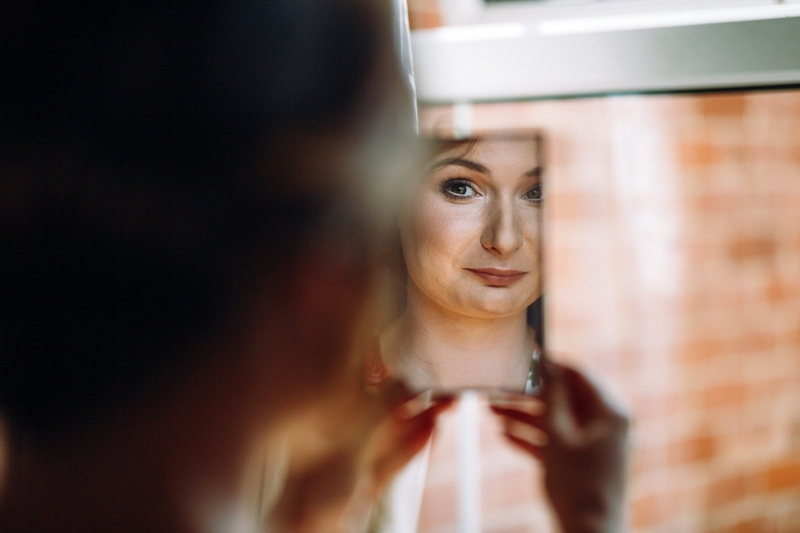 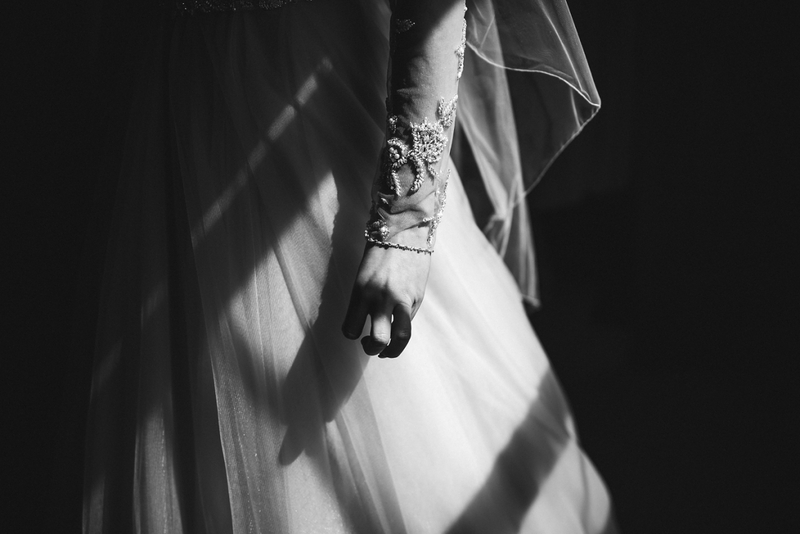 Tanya’s dress was absolutely stunning, with a hint of colour throughout it really was gorgeous, and the reactions of the bridesmaids, and then Tanya’s father are properly emotional moments – these are the points of weddings that I really love to capture. 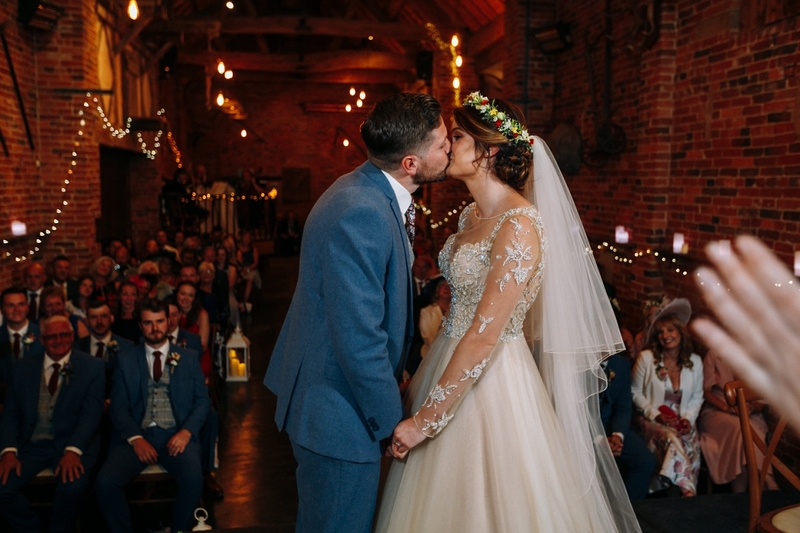 A special mention HAS to go to the florist for this wedding – they were absolutely stunning, such bright and vivid colours and completely in keeping with the gorgeous rustic barn wedding venue’s feel. 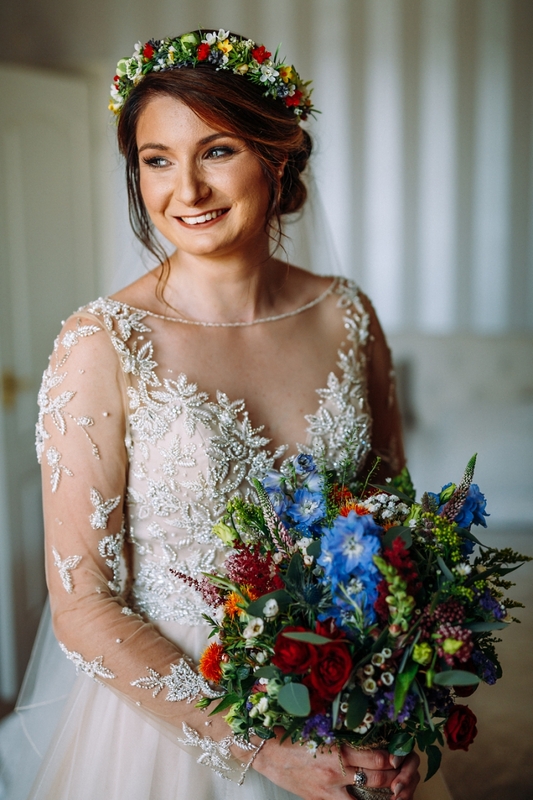 From Tanya’s tiara to the amazing sunflower display at the top of the aisle to the table decorations, the flowers really did make such an impact through the whole day. 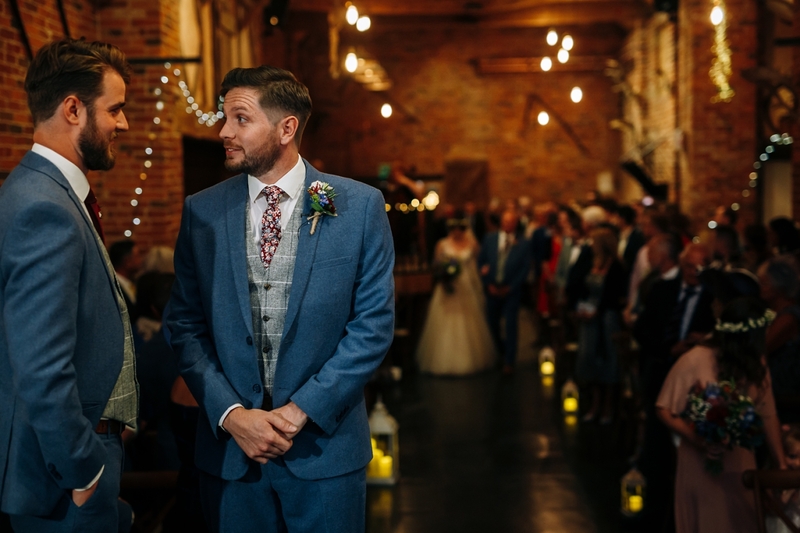 With everything ready it was time for Nathan to get to see Tanya for the first time – there are two photos that I love in this sequence, one being Nathan’s face as his best man sees Tanya for the first time, and then Nathan’s face after he’s seen Tanya – a very happy man! 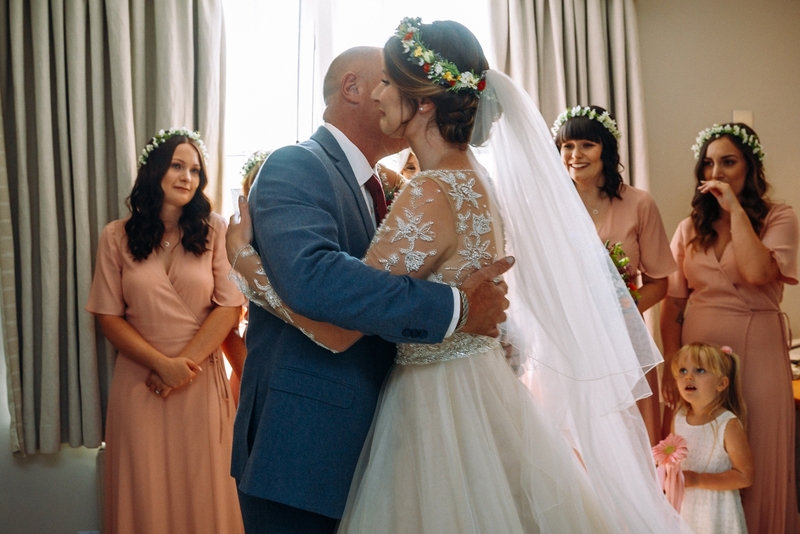 The ceremony was very personal, emotional and it was just lovely to witness Tanya & Nathan making their vows in front of their family and friends. 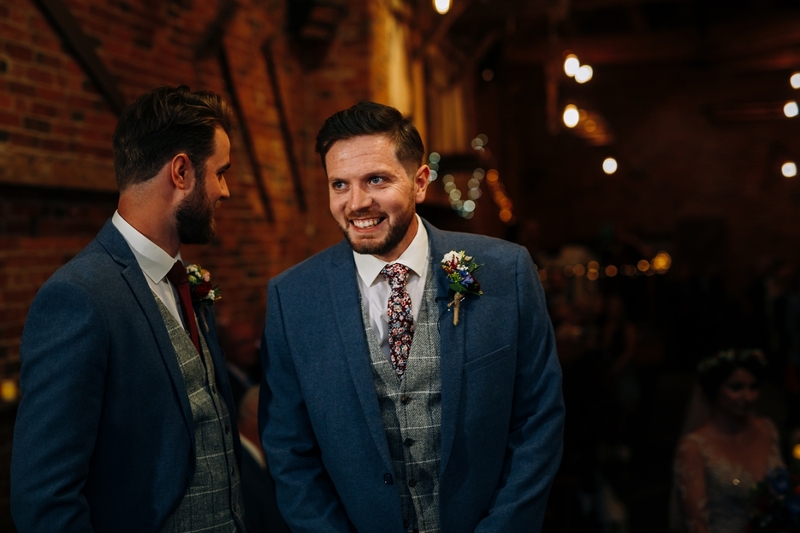 When they were announced as husband and wife, they looked so happy walking down the aisle, and out into the private courtyard followed by their guests. 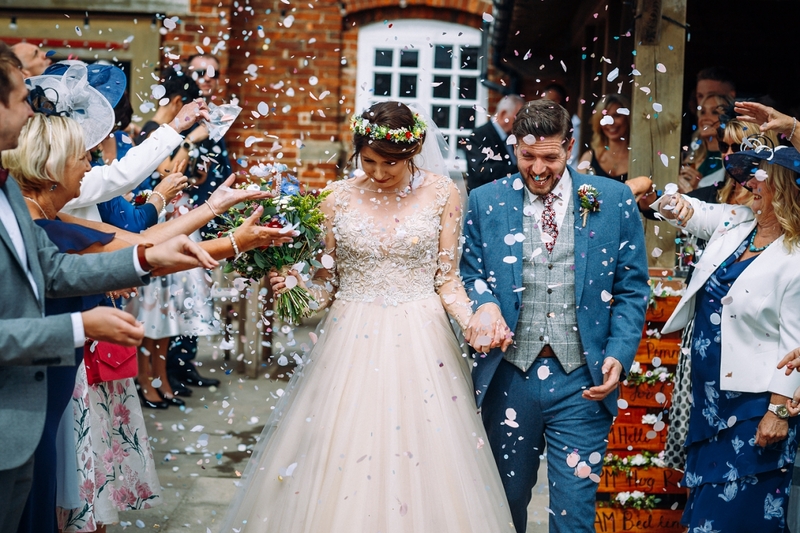 The confetti shot was full on – so much confetti! 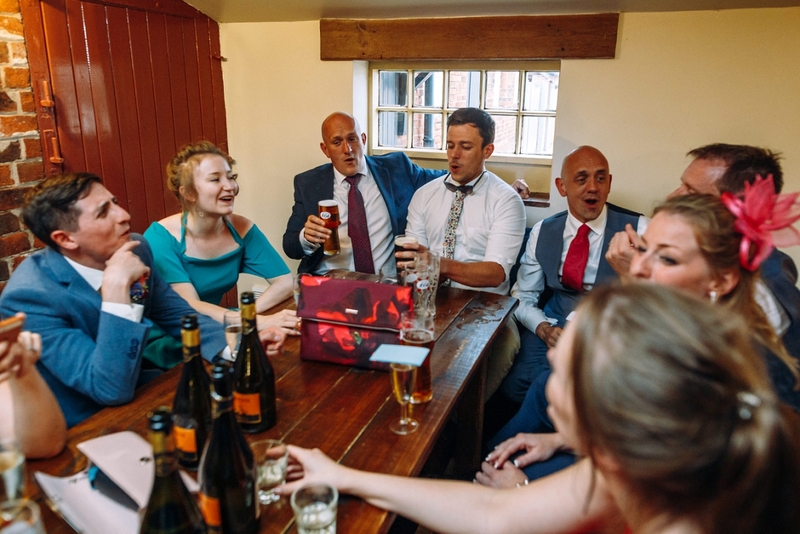 And then it was time for the drinks reception and for the newlyweds to have a chance to chat with their guests. 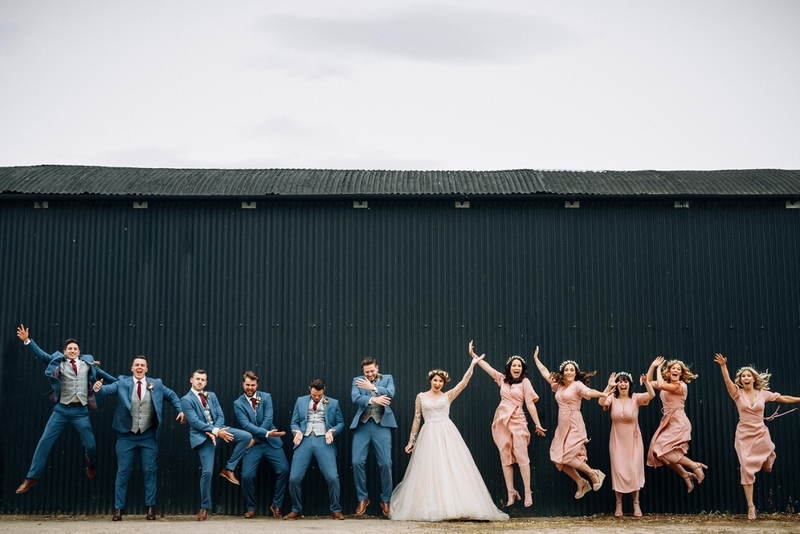 I love photographing at a rustic barn wedding venue, as there are so many opportunities for different kinds of images, and Park Farmhouse definitely has plenty, from exposed brickwork, corn fields, wooded areas to metal barn walls – and in between the drinks reception and the afternoon tea, Tanya & Nathan had a short couple shoot and group shots to make the most of this, without missing their own wedding party! 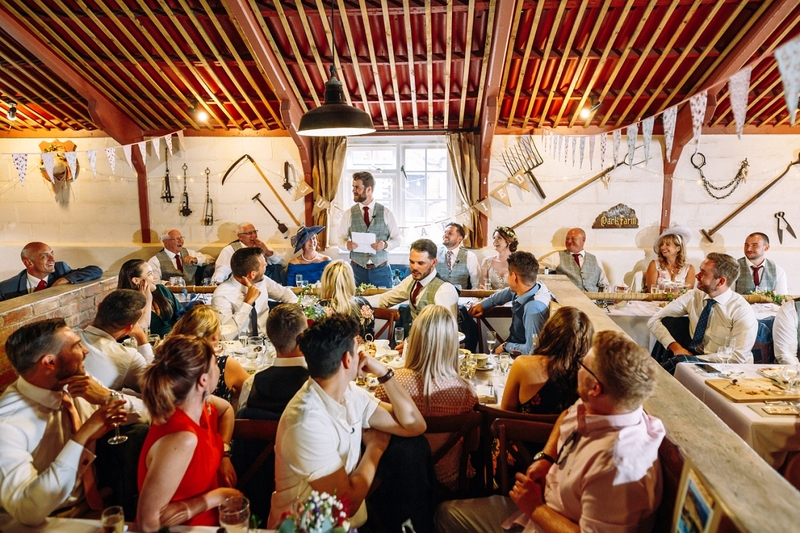 After the meal, it was time for speeches, with plenty of memories (some emotional…some more embarrassing! 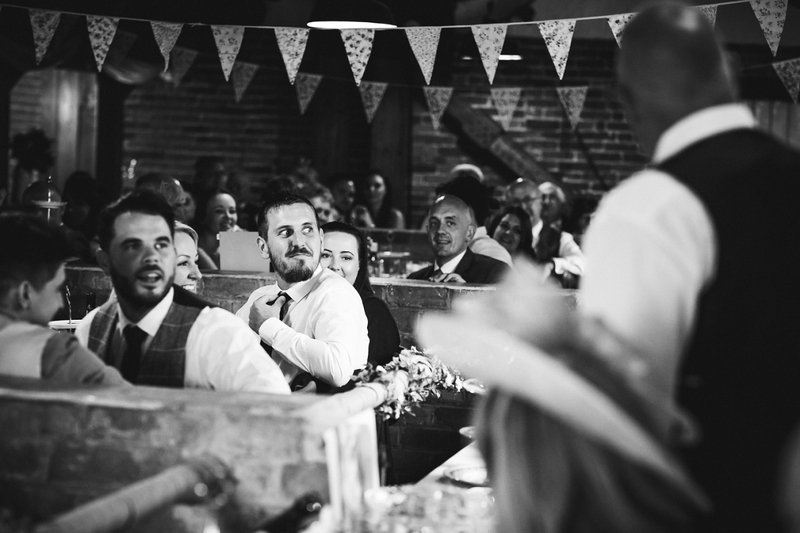 ), laughter and tears from the top table and guests alike. 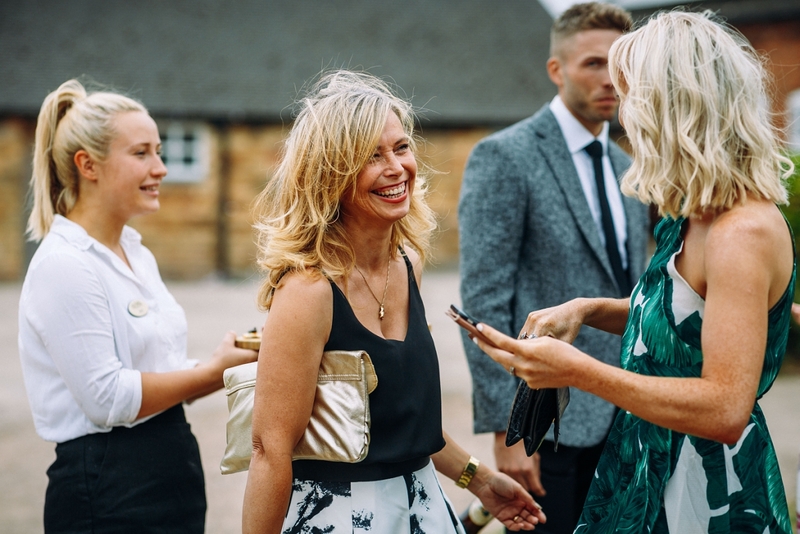 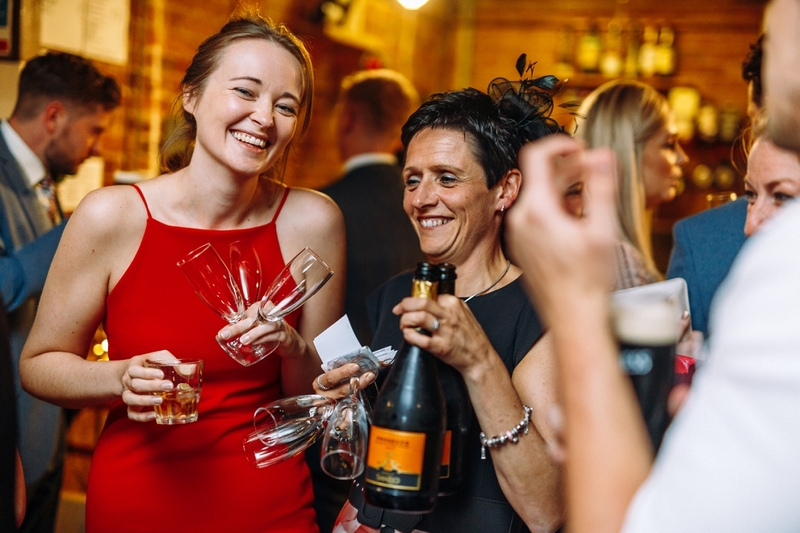 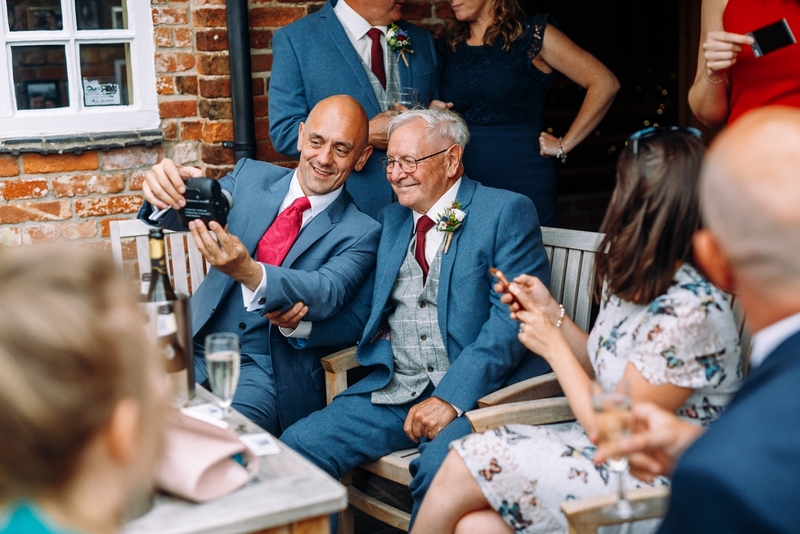 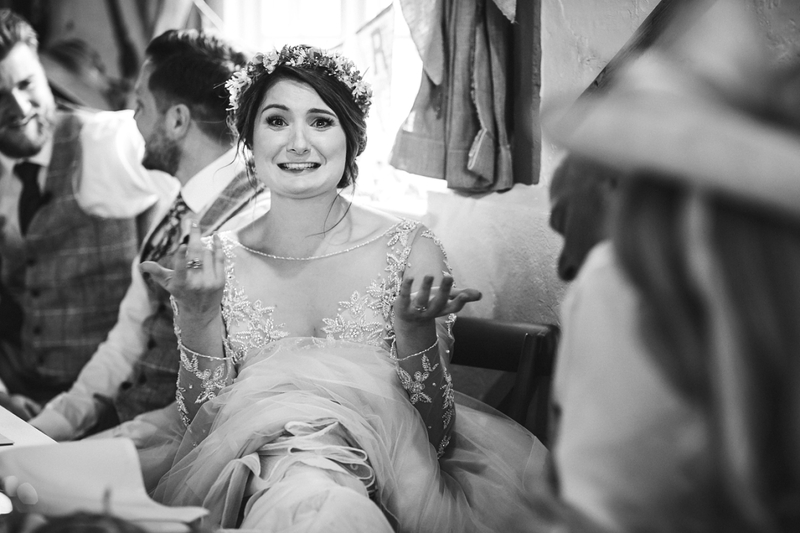 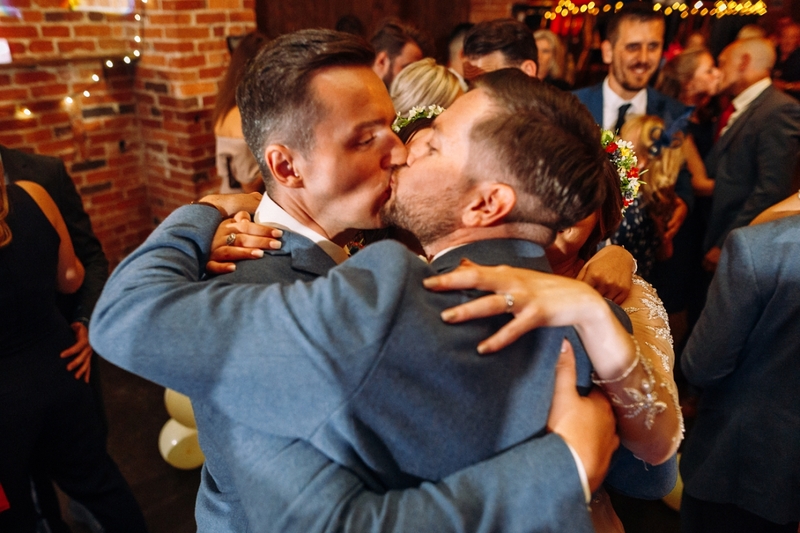 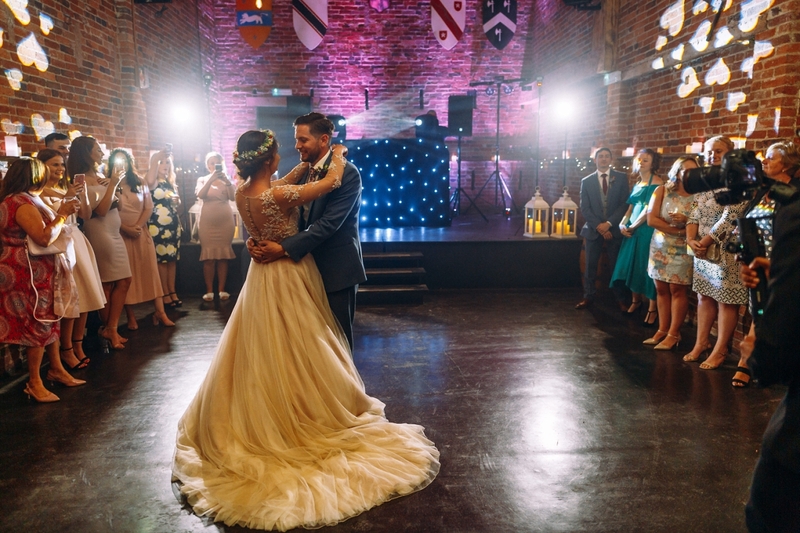 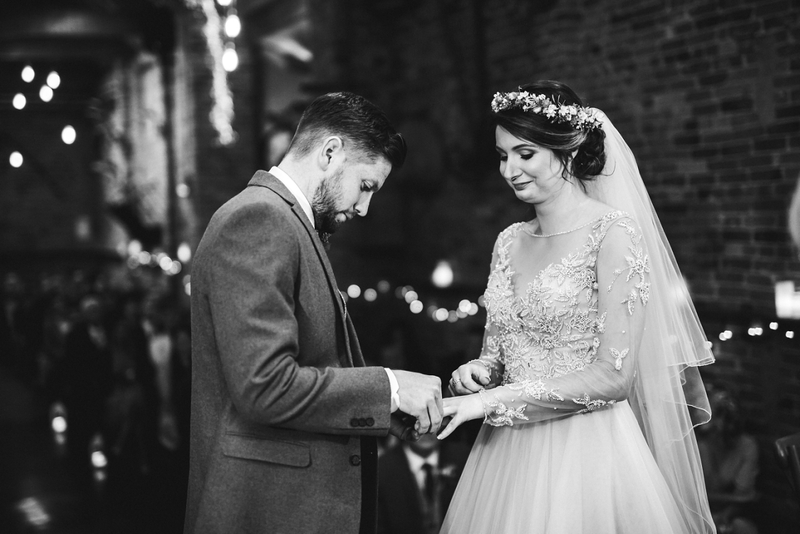 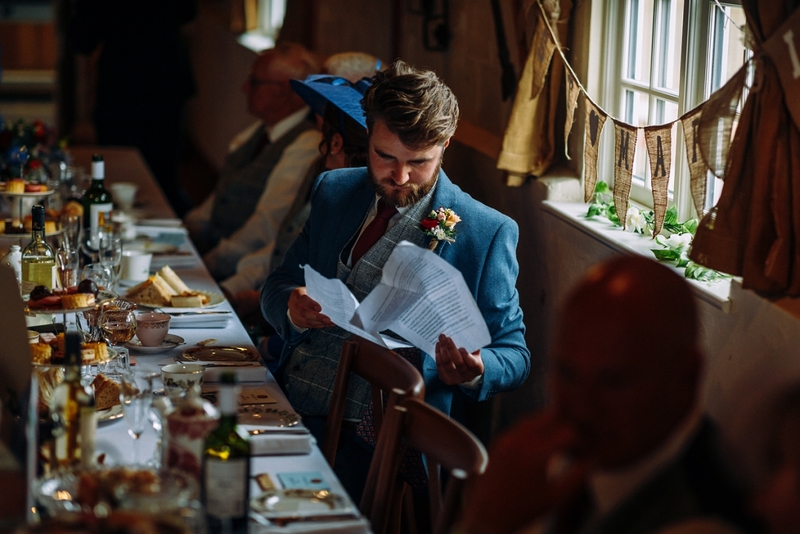 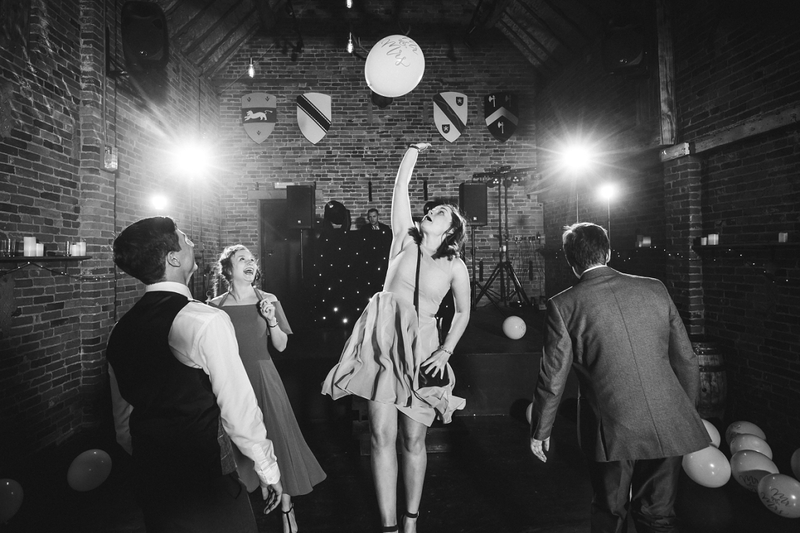 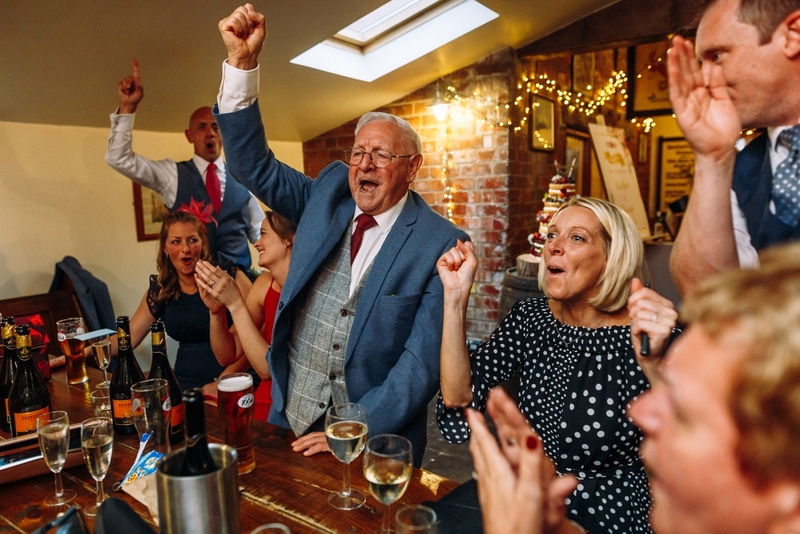 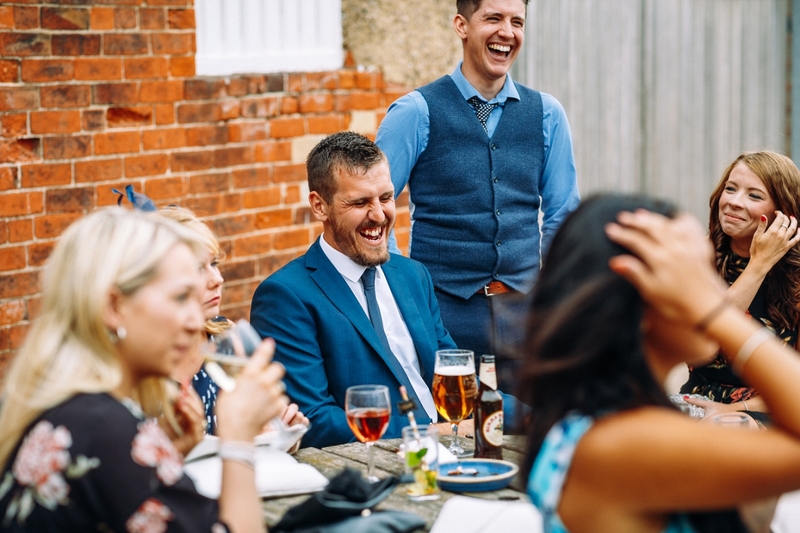 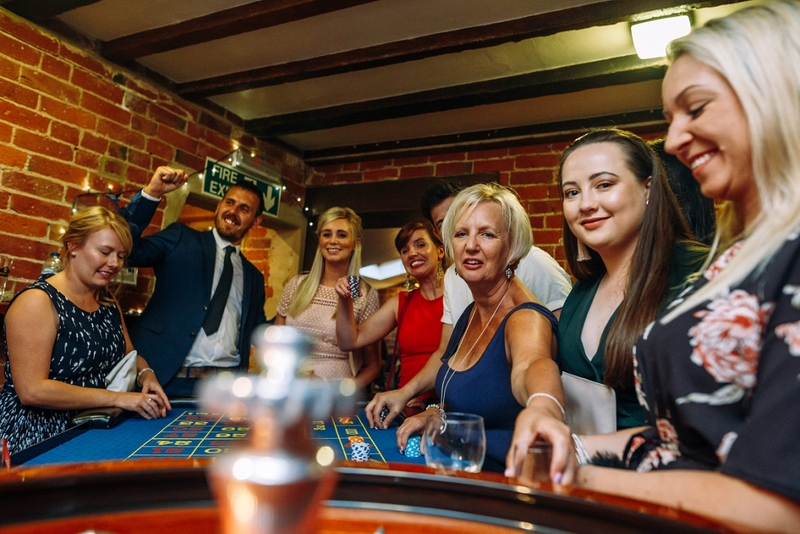 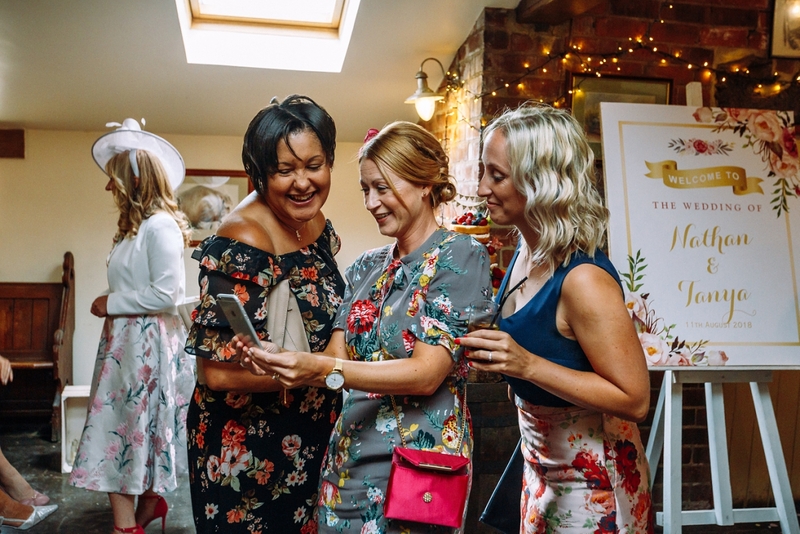 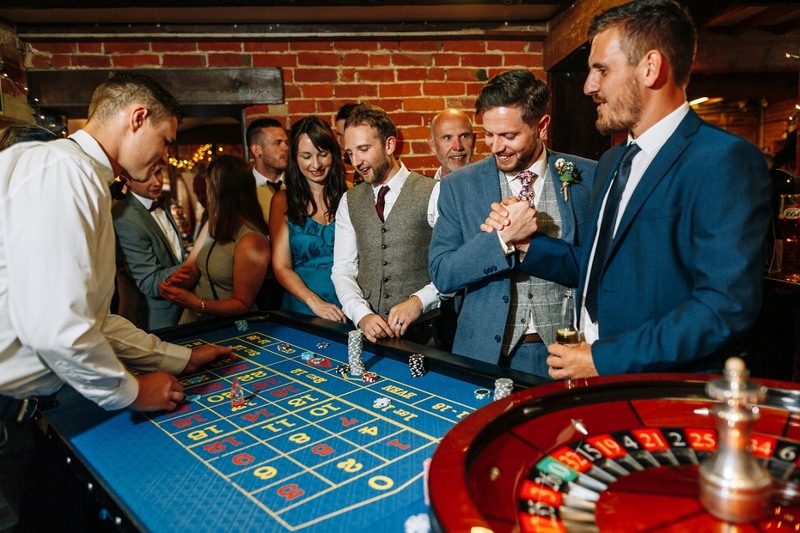 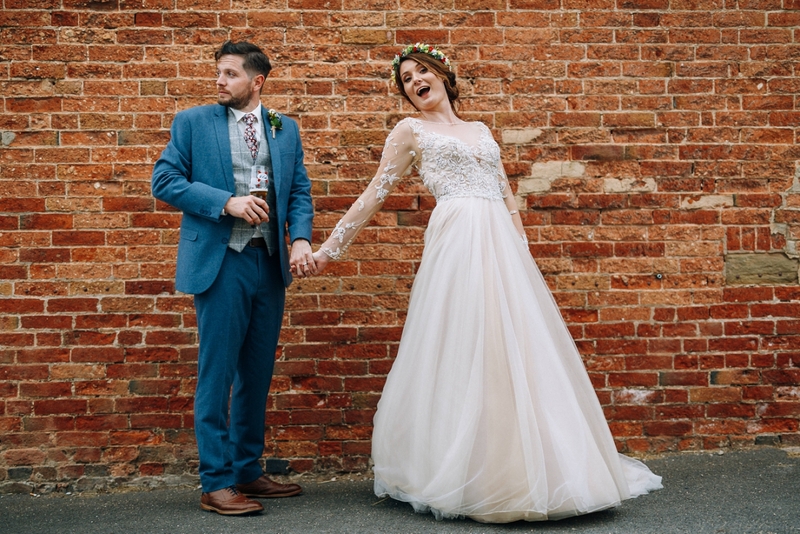 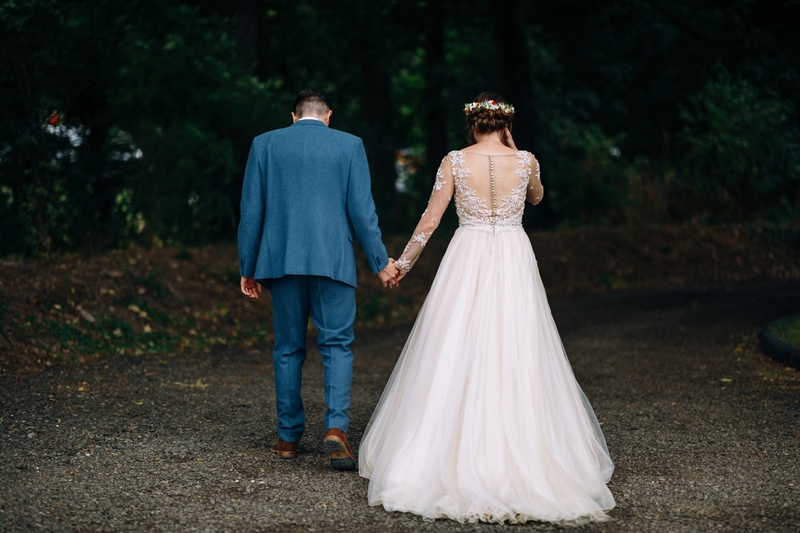 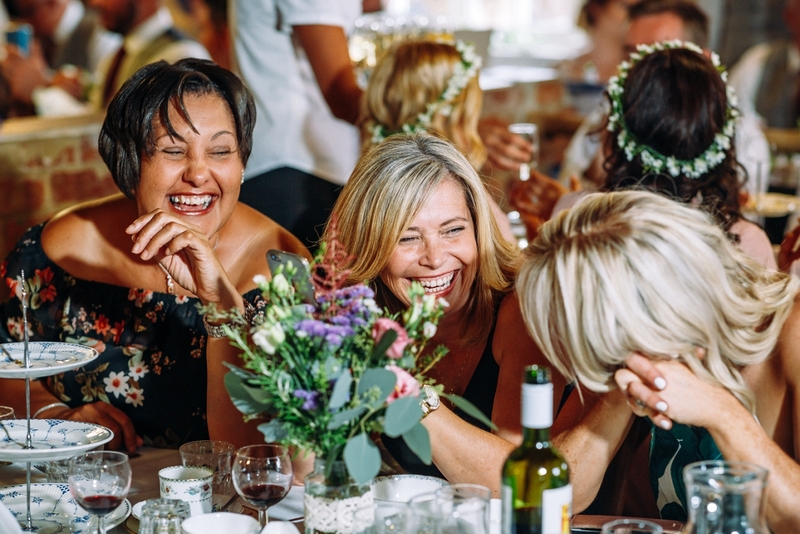 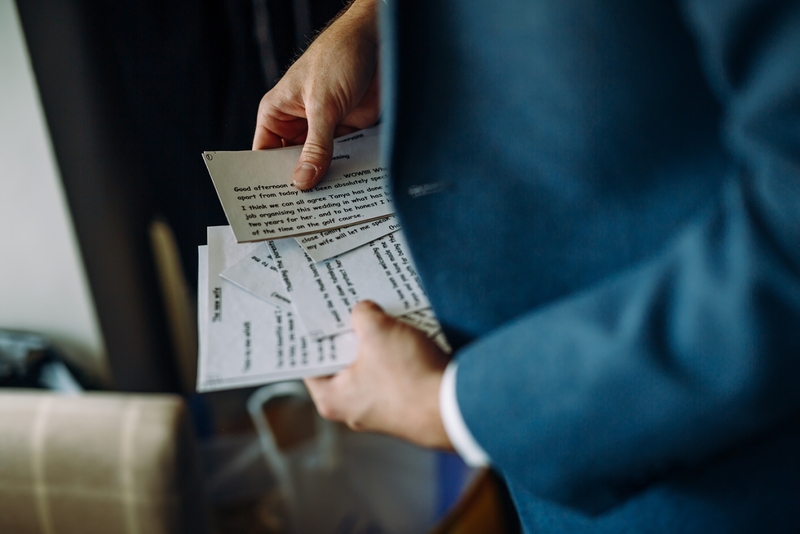 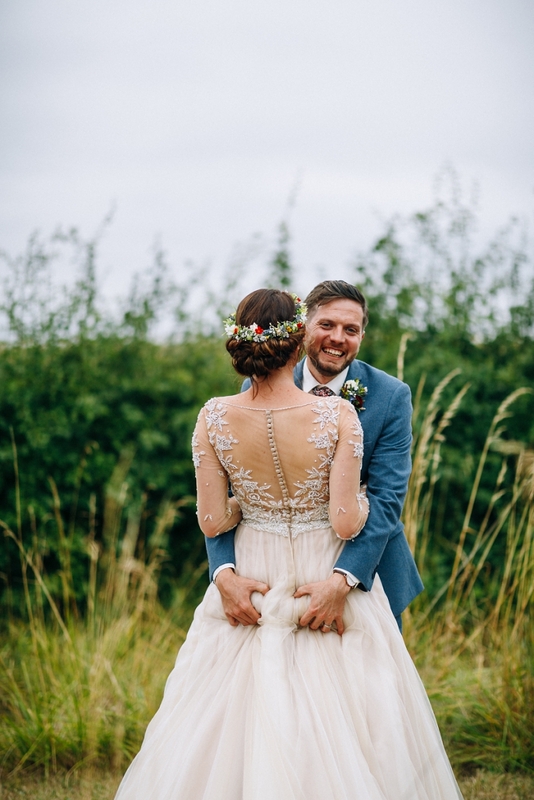 Following this, Tanya had arranged an awesome surprise for her husband and guests – while the wedding breakfast was being eaten, the rustic barn wedding venue had been transformed into a casino, complete with personalised Bailey money! 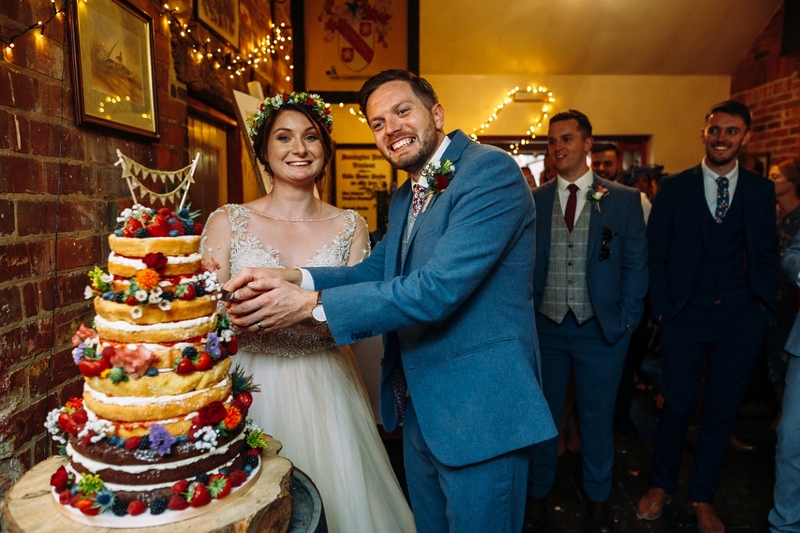 This was just awesome, and along with the cake cutting and first dance, signalled the start of a fab evening wedding celebration! 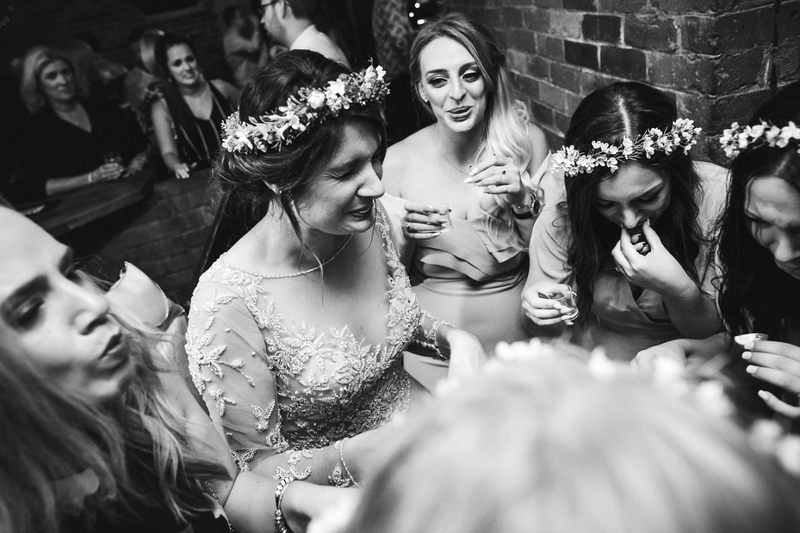 With shots being drunk, cigars being smoked, wigs and props adorned for the photo booth, dancing on the tables (and that was just Gramps!) 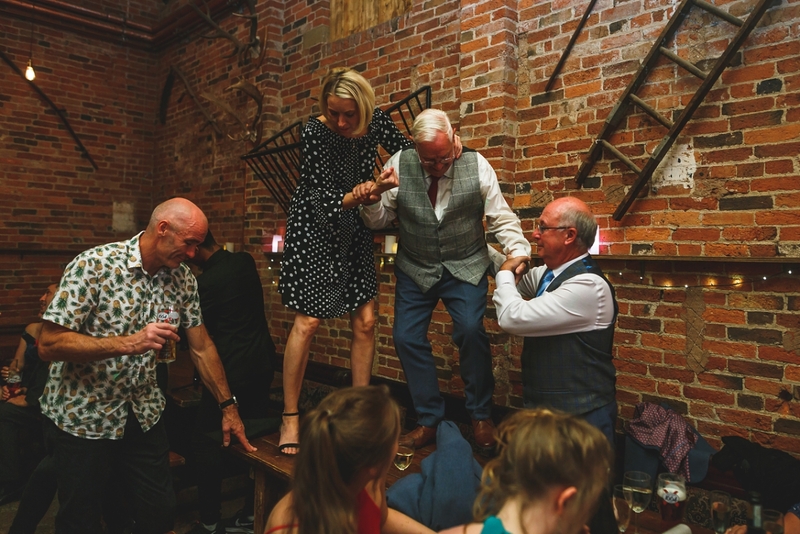 it’s safe to say that the party in full swing and carried on well into the night – absolutely epic! 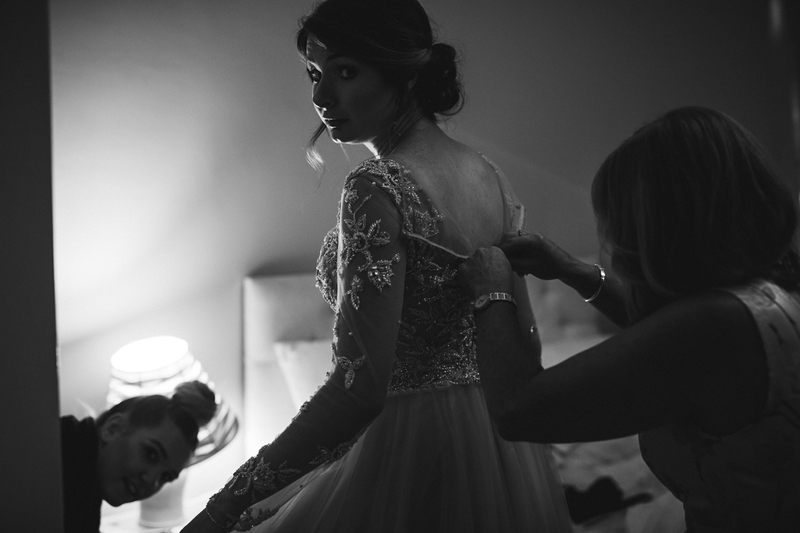 Tanya & Nathan, your wedding day was amazing from start to finish and it was a pleasure to capture it for you. 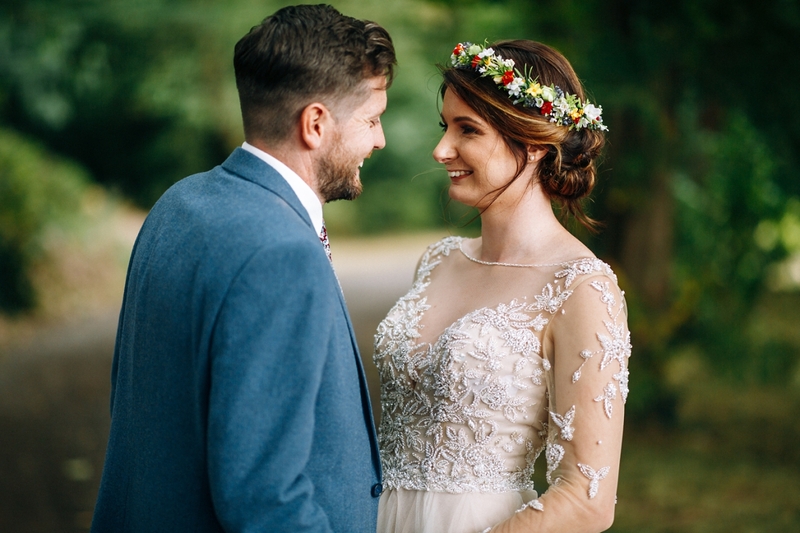 I hope you love the photos as much as I do, and I wish you a lifetime of happiness together. 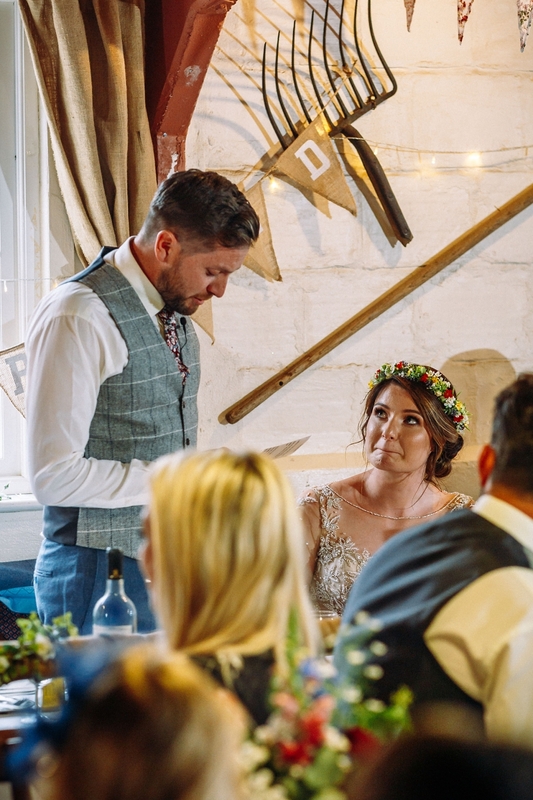 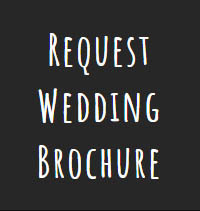 If you’re interested in booking me to capture your photography at a rustic barn wedding venue then please don’t hesitate to get in touch here.